Was only released in European territories. Port of the GameCube/Xbox version. On/off only. 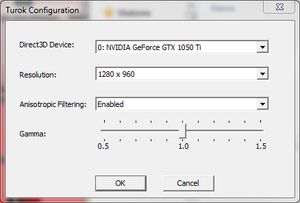 Force in the graphics card control panel. Strong mouse acceleration is always enabled. Mouse cursor doesn't select options in main menu. Open Razer Synapse if installed. Set Polling Rate to 125 Hz. "Acclaim Entertainment, Inc. 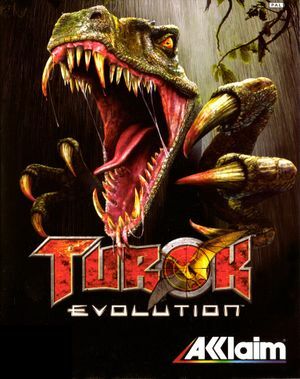 Ships Turok: Evolution for PC in Germany and Europe. This transportation to the PC of this popular FPS console game was developed by SHFF."